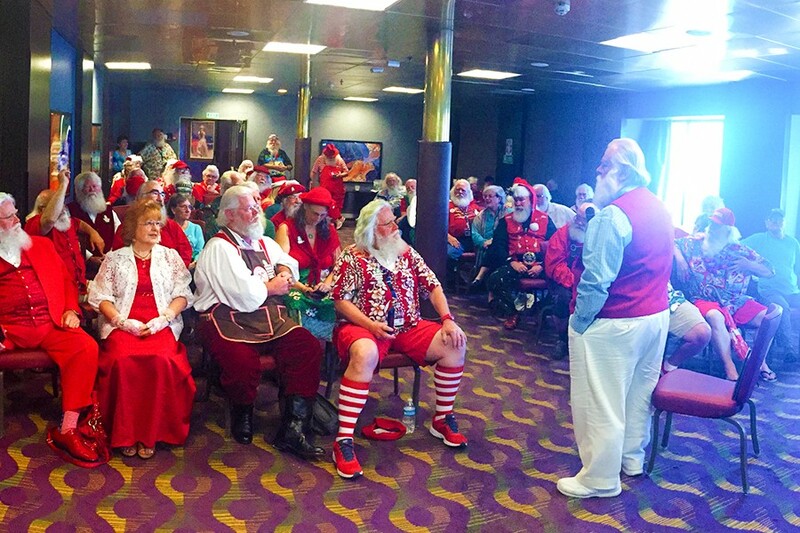 On the first night of the Real-Bearded Santa pleasure cruise I went on early this year, sandwiched between a meet-and-greet buffet and a late-night ukulele jam session, all the Santas aboard — along with their attendant Mrs. Clauses and a smattering of elves — gathered in the Shangri La Lounge on the Promenade Deck to sing karaoke. The stars of Christmas fearlessly pressed on. They are, after all, professionals. It remains the only time in my life I’ve enjoyed watching karaoke.